Monterrey, Mexico is home to some of the country’s largest international companies and has long had the moniker of being the country’s urban, industrial powerhouse. With one of Latin America’s richest municipalities (San Pedro de Garza) and the mansions of its top executives, Monterrey is modern and cosmopolitan with a classy hospitality that includes excellent fine dining, stunning natural landscapes and backyard barbecues all in the same place. On a recent visit we checked out one of the city’s top luxury hotels, Habita MTY, one of the newer additions to the Habita hotel group collection, the company that has brought urban luxury to Mexican cities across the country. 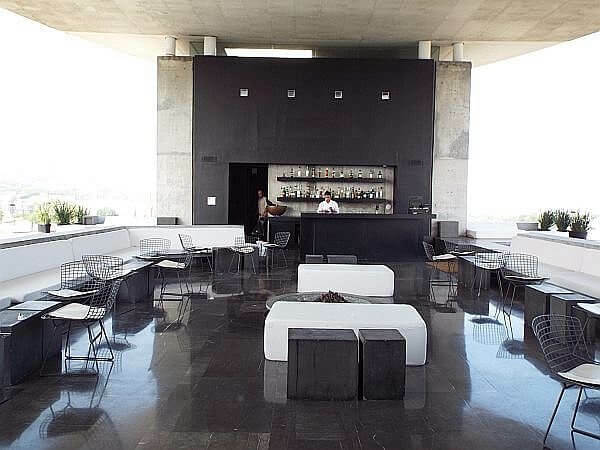 Habita MTY has always been geared more towards business travelers than vacationers. Its sleek, modern design is no-fuss luxury for visitors who want an excellent stay without a lot of pomp and circumstance. They are located in the heart of upscale San Pedro, were deal-makers come to lunch and close, in fact the Habita restaurant is one of those places you will see tables full of suits, building their next empire. The complex where the hotel is built has a handful of other upscale restaurants on the ground floor including Vasconcelos, with its gorgeous outdoor patio for dinner al fresco on one of those warm Monterrey nights. In addition, there is a Thai spa where guests can get treatments at a reduced rate (as well as purchase upscale personal healthcare products) and a full gym with dozens of machines, weights, personal trainers, even classes, that guests can access free. The wi-fi in the hotel is on an open network, which makes connecting just that much simpler and there several places to get some work done including the business center, the upstairs Skybar (with outlets for plugging in) and the hotel’s library. Leisure travelers will find it easy to make a reservation on the weekends since weekdays are busier at Habita MTY and the ambiance of the hotel, with its floor to ceiling views of the surrounding city and mountains in the distance and the rooftop infinity pool and bar actually offer quite a lot of romance. Unlike some of Habita’s other properties (the Downtown Hotel in Mexico City or La Purificadora in Puebla for example), this property is not set within the city’s historic district and therefore within short walking distance to lots of attractions. Habita MTY requires either having a vehicle to get around or taking a cab or Uber, but that’s a common theme throughout this sprawling city. The hotel is close to a bevy a great restaurants located in San Pedro, including Trust, a “beyond-organic” restaurant started by the hotel’s former chef Mark Aceves. While Monterrey continues to be a business-focused town, there are also great museums to visit, good food to eat, and great craft beer. 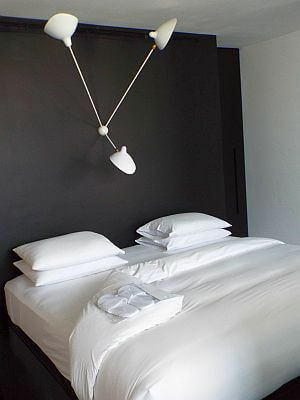 A stay at the Habita will round out an excellent stay there.